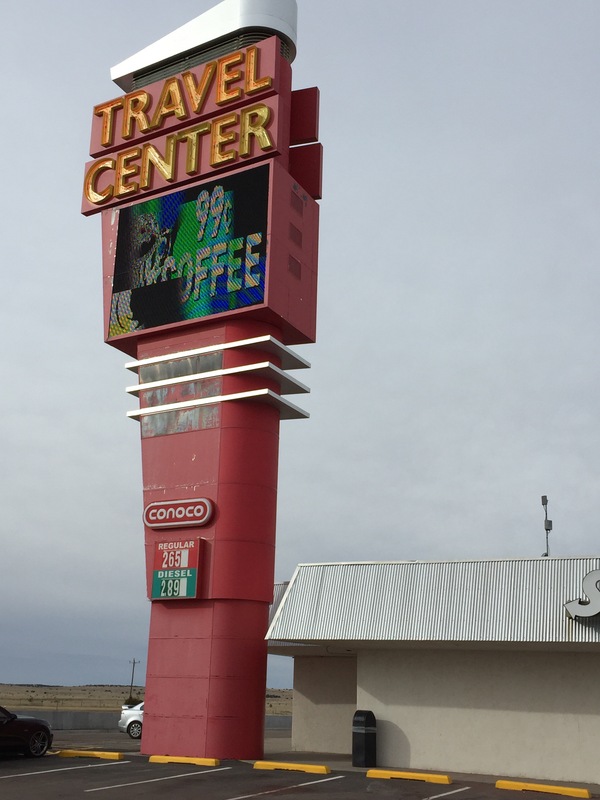 We drove through Encino, New Mexico on our way to the Carlsbad Caverns. Encino looks like it has fallen on hard times, and this ramshackle house, just about to collapse, seemed to characterize the town as a whole. The house was so memorable on the way down that I was determined to take its photo on the trip back — and was happy to catch it during the magic hour just before sunset. Route 285 is a straight shot. 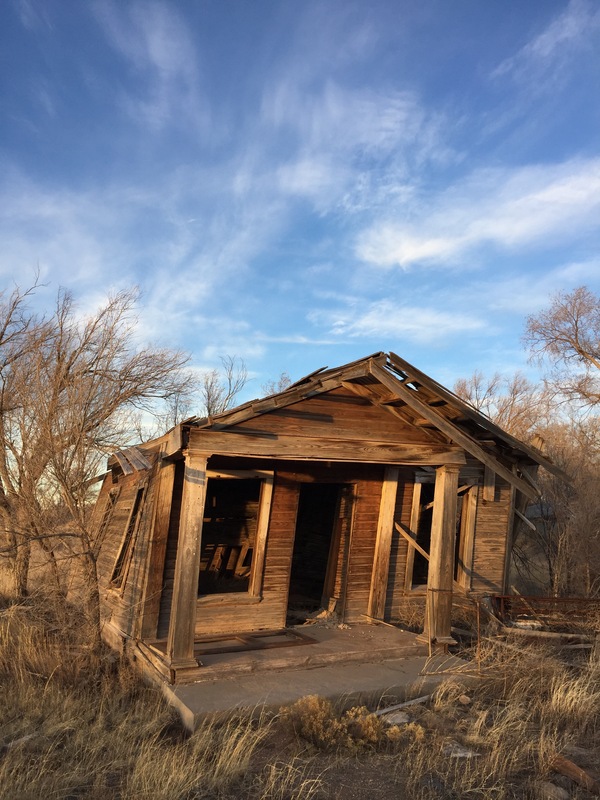 You head directly due south, from the Santa Fe area through the ranch lands of New Mexico down to Carlsbad. The road is pretty much straight as a die, as if it were drawn with a straight-edged ruler, like the border line of a state shown on a map. 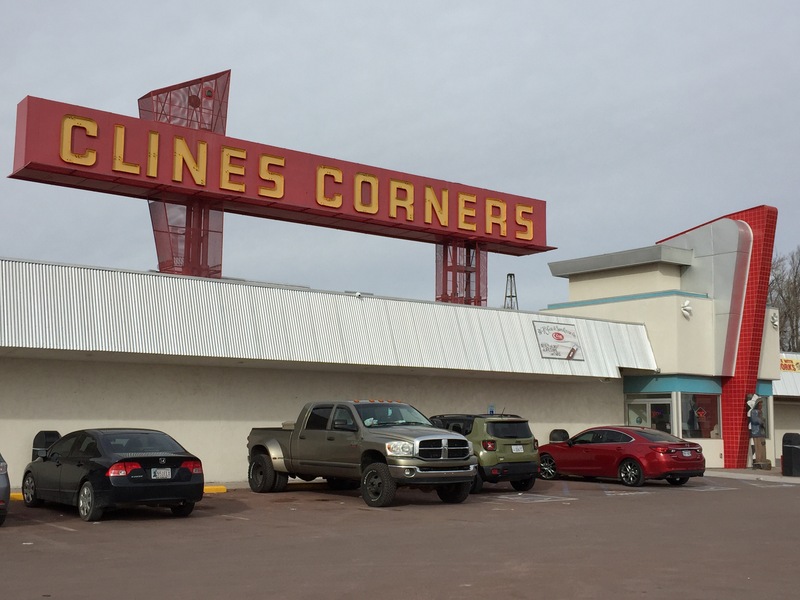 At Clines Corners you stop, because everyone who drives Route 285 has to stop at Clines Corners. It’s a way to relive the America of the Route 66 era. You eat a hearty breakfast — the Truck Drivers’ Special is highly recommended– and you wander a bit through the massive “gift shop” area, marveling at who might actually collect thimbles representing each of the 50 states or Zippo lighters with NASCAR markings, or who might make an impulse purchase of “trophy husband” boxer shorts while at a roadside store in the middle of New Mexico. And then it’s back on the road, motoring over the mostly dry and barren countryside, blessedly free of billboards but with not much else to see, either. Scrubby trees, small, dessicated bushes, and spiny looking plants roll by outside the car window, with an occasional herd of cattle to break things up a bit. Your eyes feast on every shade of brown you can imagine, and after a while the world becomes focused solely on the landscape and the road. You wonder if that UFO crashed in Roswell because the aliens manning the craft were suffering from highway hypnosis. 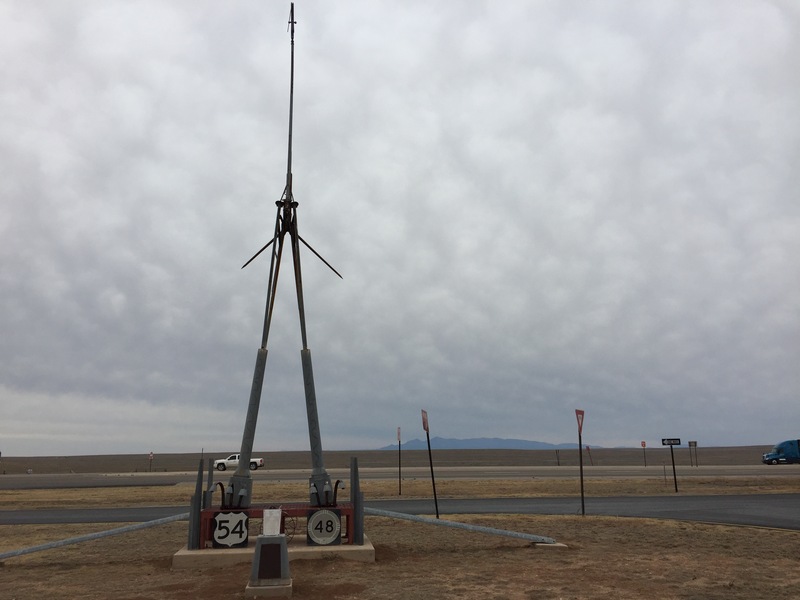 At a roadside rest stop, there is a commissioned piece of public art that prominently features road signs — as well as a towering lance that is easily the tallest object on the horizon. Why not? On Route 285, it’s all about the road, the road, the road.